Category: Books, Children's and Parenting, Yoga and Meditation Tags: children, cosmic kids, meditation, mindfulness, yoga, yoga for children, yoga for kids. 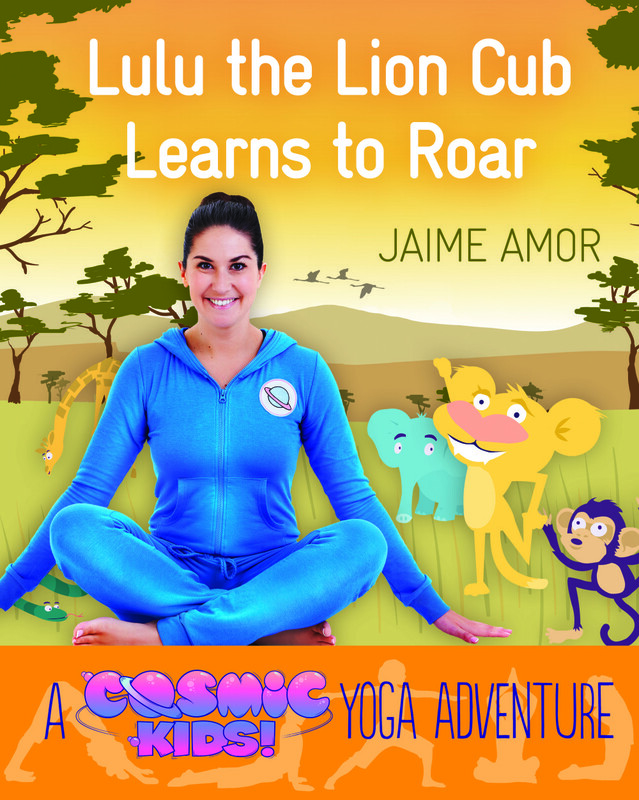 Combining storytelling with yoga routines from YouTube phenomenon Cosmic Kids, this is a uniquely fun and interactive way of delivering yoga to kids in book form. The hugely successful Cosmic Kids YouTube channel helps children discover yoga by joining presenter Jaime on monthly yoga adventures, each one a story featuring a loveable animal character that achieves something amazing. Aimed at 4 to 8-year-olds, the Cosmic Kids yoga books offer children a chance to take the yoga more slowly than is possible in a fast-moving video, to spend more time in their favourite poses, and also to enjoy reading or listening to the story. Each book is themed around a specific area of wellbeing; in the case of Lulu, this is coping with feelings of frustration and anger, and finding and managing our own inner power. In this adventure, we’re off to Tanzania to meet Lulu, a lion cub who’s not quite learned how to roar yet. This makes her really sad and frustrated and taking it out on her friends just makes her feel even worse, so we help her find ways of dealing with her emotions. Then Lulu discovers that the volcano is going to erupt … all her friends are in terrible danger! Can she find her roar in time to save the other animals? The story concludes with a relaxation and some affirmations to reinforce the message of the book. With bright illustrations, the books are designed to mirror the Cosmic Kids look, and to allow children to get to know a range of characters from the Cosmic Kids shows. There’s also information at the back to help parents and teachers introduce children to yoga, even if they don’t practise yoga themselves. Jaime Amor founded Cosmic Kids Yoga with her husband Martin in 2012, when they posted their first YouTube video, Squish the Fish (since viewed over one million times). They are passionate about making yoga and meditation fun and free online for kids. Jaime studied acting at the Bristol Old Vic and has an RYT200 yoga-teaching qualification. She can lay claim to being the world’s most popular yoga teacher: as well as leading classes in her local area, Jaime is followed on YouTube from homes and schools by up to 160,000 children every day.